The Burton 24 hour sale has just started. 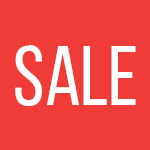 Huge reductions on clothing and fashion accessories. Hurry, be one of the first to grab all the good deals!